In 2013, Jami Curl, the original owner of Saint Cupcake, switched from frosting to gumdrops with Quin, a tiny, neon-lit space overflowing with crafty confections inside downtown’s Union Way retail corridor. “I’ve been a fool for candy since day one,” Curl admits. The approach? She pinpoints sentimental favorites (Starburst, Tootsie Rolls, Lik-m-aid) and reimagines them with Oregon ingredients and a razor-sharp culinary focus. Twizzlie Rolls: These silky-smooth riffs on the Tootsie Roll are bound with Felchlin dark chocolate for devoted cocoa lovers. Cherry Gumdrop: Popping with real, Oregon-grown sweetheart cherries, these drops are the perfect blend of gummy nostalgia and summertime sweet. Dreams Come Chew: Surging with super-juicy, fresh-fruit flavors, Curl’s upgraded Starbursts come in sweet combos like watermelon-lime and pineapple-coconut, without the nasty additives. Twizzlie Pop: Curl reengineered the Tootsie Pop with a tart tangerine shell that takes only a few licks to melt away into an ooey-gooey chocolate center. 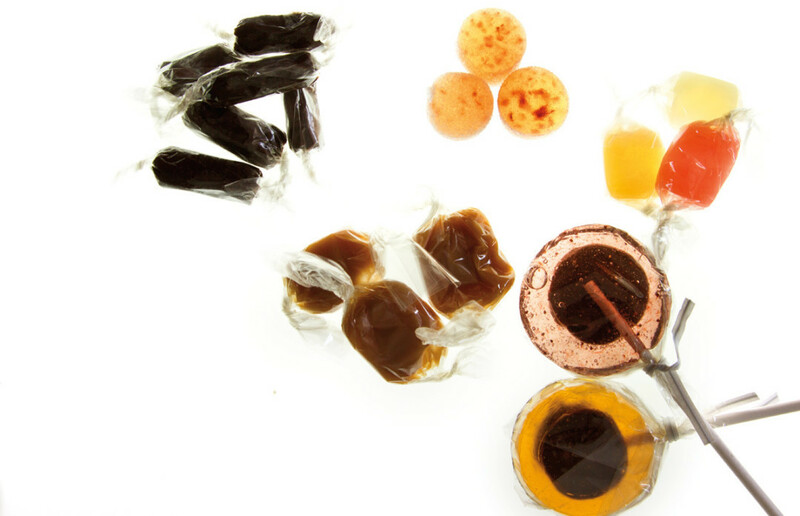 Coffee + Orange + Smoked Salt Caramel:s Quin’s buttery, smoky caramels are forged from Jacobsen’s alder-smoked sea salt, Water Avenue coffee, and fresh orange zest.